Fluid Mechanics Laboratory, Mechanical Engineering and Aeronautics Department, University of Patras, Patras, Greece. The pump design is facilitated by the development of computational fluid dynamics and the complex internal flows in water pump impellers can be well predicted. Various parameters affect the pump performance and energy consumption. The impeller outlet diameter, the blade angle and the blade number are the most critical. The present paper describes the simulation of the flow into the impeller of a laboratory pump in a parametric manner. 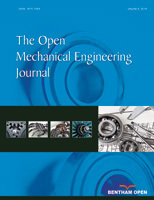 In this study, the performance of impellers with the same outlet diameter having different outlet blade angles is thoroughly evaluated. The one-dimensional approach along with empirical equations is adopted for the design of each impeller. The predicted performance curves result through the calculation of the internal flow field and a successful correlation of local and global parameters. The numerical solution of the discretized three-dimensional, incompressible Navier-Stokes equations over an unstructured grid is accomplished with a commercial CFD finite-volume code. For each impeller, the flow pattern and the pressure distribution in the blade passages are calculated and finally the head-capacity curves are compared and discussed.